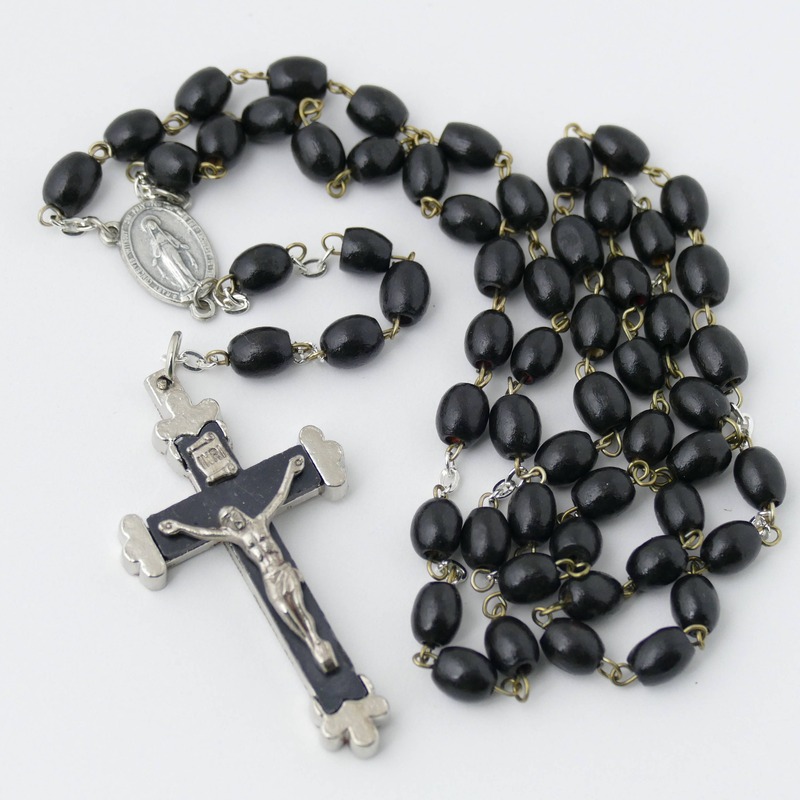 This black wood bead handmade rosary features black colored barrel-shaped wooden beads that are one-quarter inch in length and one-eighth of an inch wide. 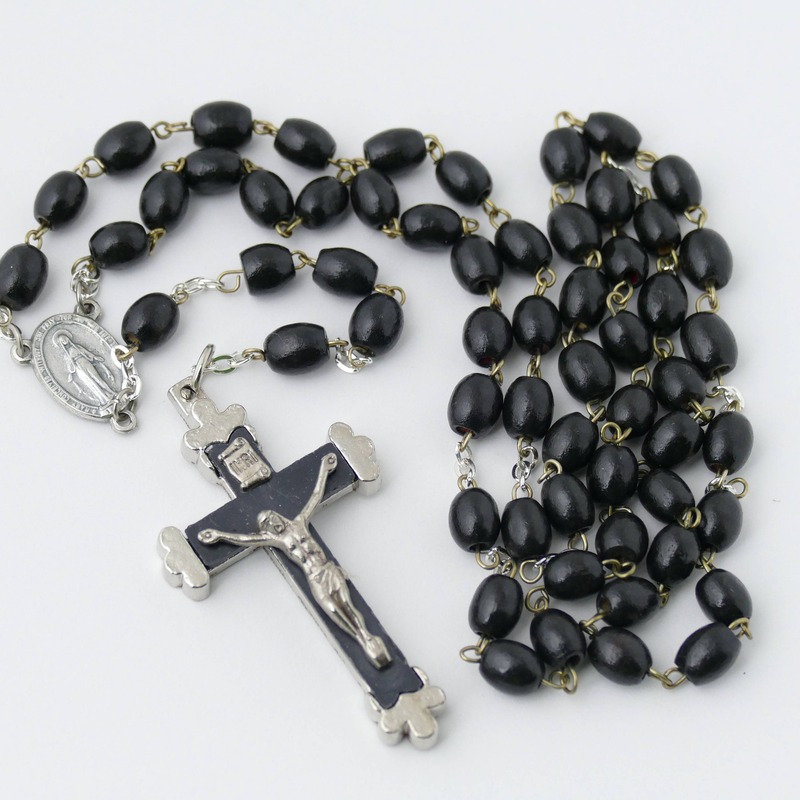 The smooth, rich wooden beads makes this rosary a popular one for prayer activities. 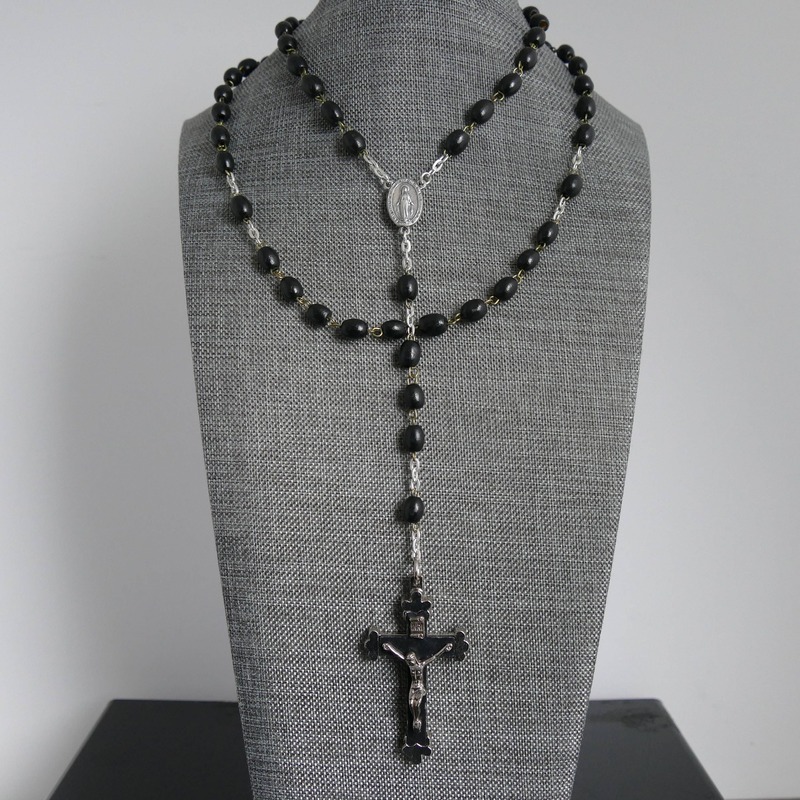 The rosary is comprised of golden links, which features a silver medal with a Jesus Christ on one side and a Virgin Mary on the other, a medal that’s five-eighths of an inch in height, along with a highly detailed black and silver crucifix that’s 1.75 inches tall. 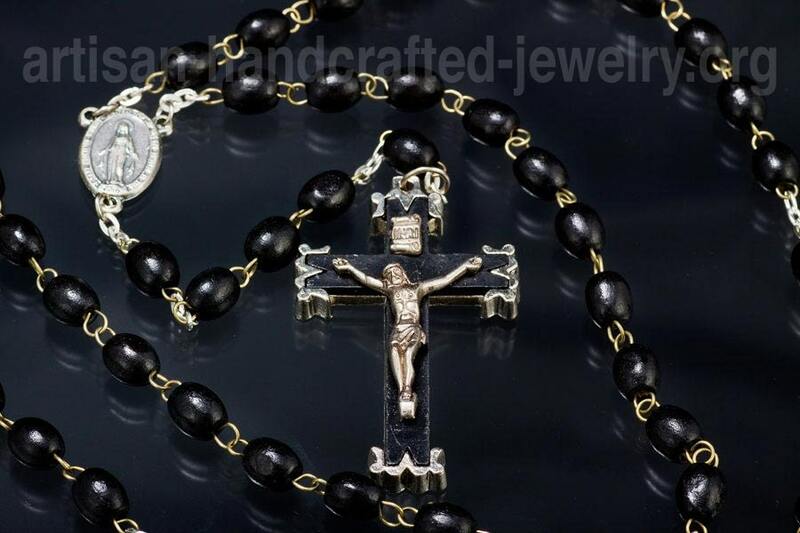 This rosary necklace has a circumference of 27 inches and it’s a total of 20 inches long. 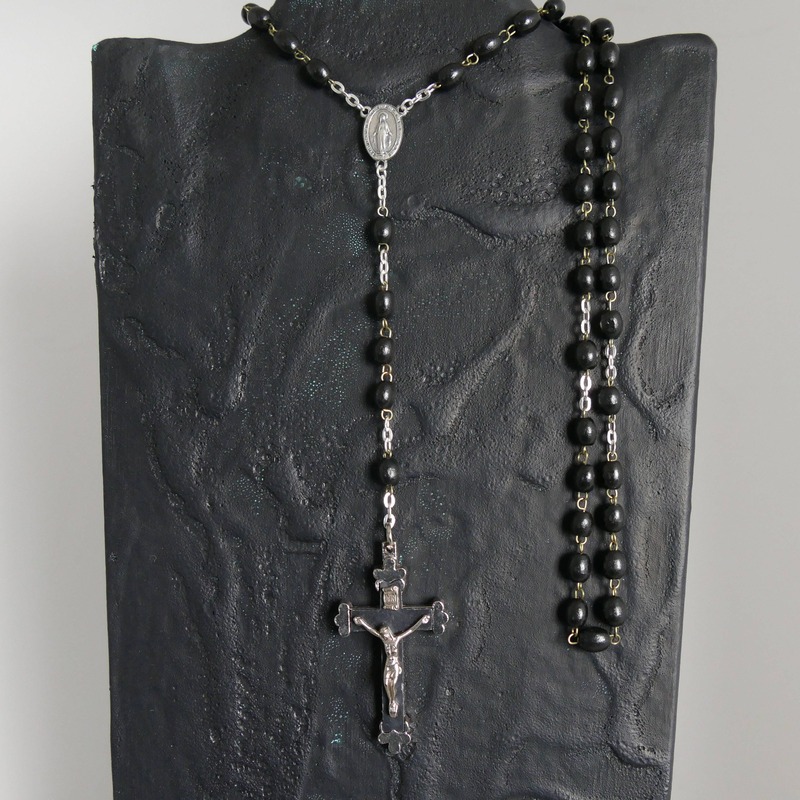 The total weight for this beaded rosary is 0.7 ounces (20 gr). 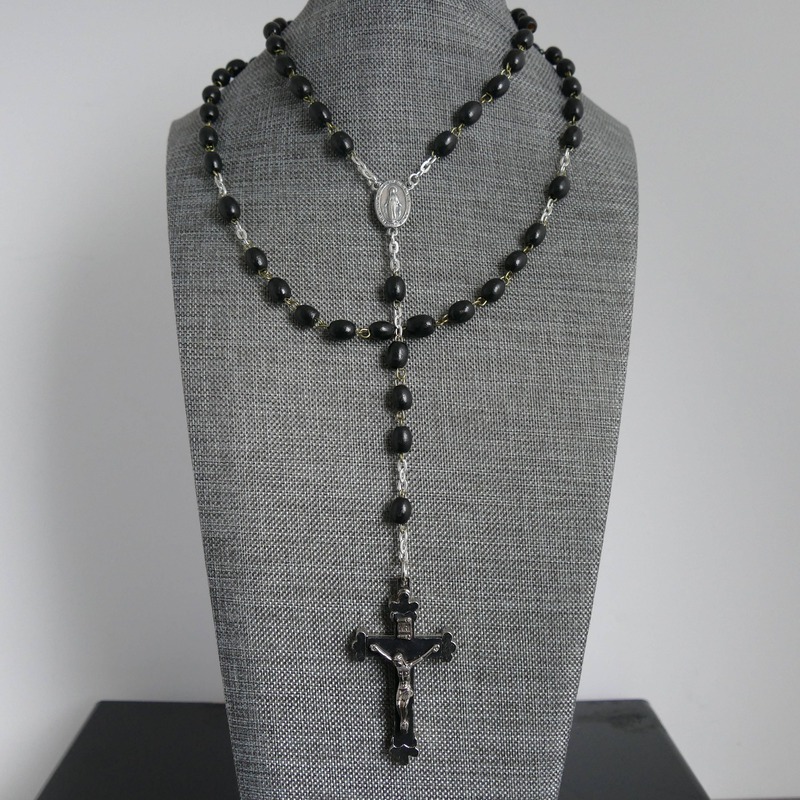 This handcrafted rosary looks great on men as it is very comfortable to wear. Rosary hasa nice weight and seems it will hold up for a long time. It's really pretty, too, and shipped timely! I got it as a gift for my father and he loved it! It's beautiful, thank you! !